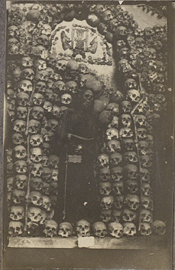 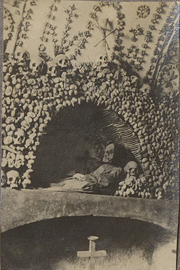 Skull-lined wall from the Capuchin Crypt featuring a skeleton in a friar's robes in a standing position, photograph. 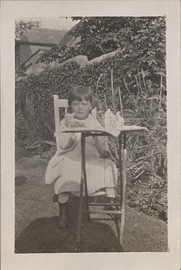 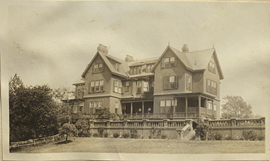 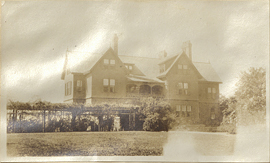 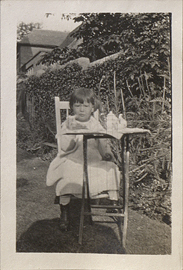 Small child having tea in a garden (high contrast), photograph. 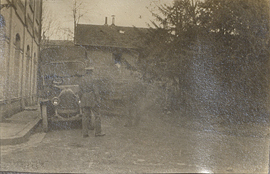 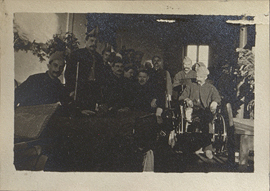 Soliders in a World War I hospital, photograph. 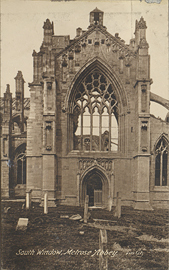 South Window, Melrose Abbey, postcard. 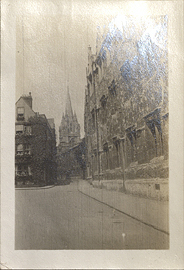 St. Mary's from lane passing Oriel College, photograph. 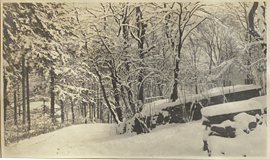 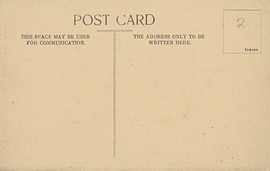 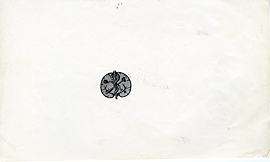 St. Michaels Church, Basingstoke, postcard (back). 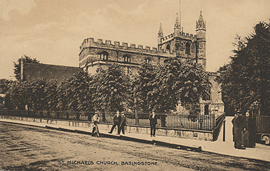 St. Michaels Church, Basingstoke, postcard (front). 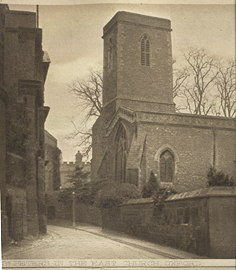 St. Peters in the East Church, Oxford, postcard.